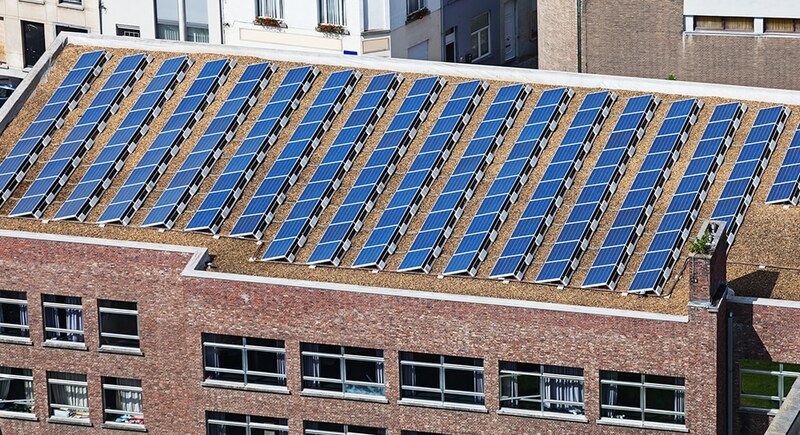 Solar can make a lot of sense for your business as well as your home. 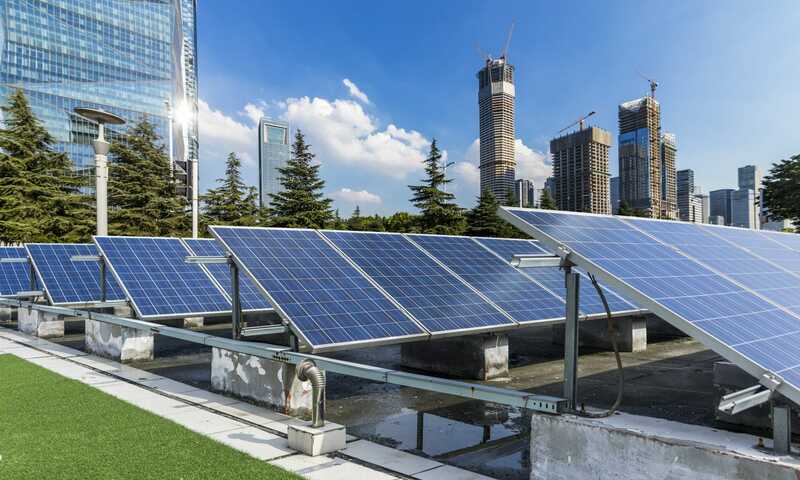 The same incentives are available for solar installations on your business and often you can make a bigger impact on your current electric bills since businesses typically have a larger surface available upon which to put solar panels. NJ Commercial Solar Installation – Is Now the Right Time? 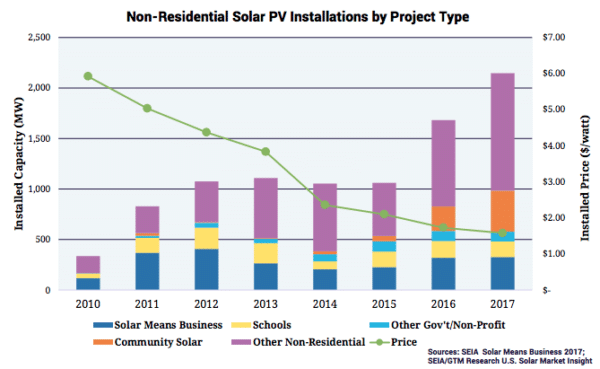 New Jersey Net Metering – With this program businesses can actually sell excess electricity back to the grid at the retail rate. This is great because the retail rate related to New Jersey net metering is significantly higher than the wholesale rate that large power plants receive for the electricity they sell to the utility. Plus, the ability to both buy and sell electricity from the grid allows you to balance your consumption and production, instead of letting any excess electricity you produce go to waste. No Sales Tax – Don’t worry about that annoying 7% sales tax. In NJ there is no sales tax on the purchase of equipment for commercial solar installations. Bulk Purchasing Agreements – By partnering with other like minded businesses, commercial enterprises can achieve economies of scale on the purchase of solar equipment which can further reduce your costs. Sunpower guarantee’s support for your system over its lifetime, regardless of who installed it. There is no longer any need to be concerned about using a smaller company to do your install. As a licensed and exclusive Sunpower dealer, your installation can be forever, guaranteed and serviced by any of dozens of Sunpower dealers in the New Jersey market. Even the Federal government offers businesses the ability to apply for a solar investment tax credit that can potentially offset up to 30% of their system cost via a credit that can be applied to owed Federal taxes. ** There are also purchasing strategies that can bring this cost even lower. There are also more creative financing options such as (P)ower (P)urchase (A)greements which allow businesses to minimize risk and have renewable energy on their property while lowering their monthly bills, for no or minimal investment while Purchase and Loan options are also available for businesses. Understanding how your business is billed for electricity is important as well, and we can help you understand better through our Bill Review Process. Some business are subject to high “demand charges” where they pay a lot more for “ peak” usage, electricity that’s used during peak times. Solar and/or Storage is a great way to shave these peak demand charges and save more money while generating green energy. Financing options also exist for Non-profits and/or business who may not be able to take advantage of tax credits. Our team at Green House solar will help you navigate that as well. Solar options are available for everyone! Please consider adding Green House Solar to your short list of companies that can be trusted completely with your solar installation, before, during, and after the sale. For almost a decade we have been providing high quality solar and electrical services to homes and businesses of all sizes and types. Our family owned business focused on cost effective solar installation and maintenance is an alternative to the costly, sales driven approach of most NJ solar energy companies. We are New Jersey licensed electrical contractors and NABCEP certified PV installers. Green House Solar serves all of northern and central New Jersey.